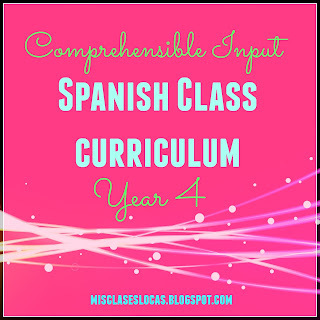 Last year I posted my Curriculum years 1-3. Some of you have requested an update, so here is my year 4, which includes tentative plans for the rest of the year. Please remember that I am at a new school this year, which was previously legacy methods textbook driven curriculum. The comprehensible input and novels were quite new, so I eased in all levels with more simple texts to build confidence. You will notice that the whole year my sophomores were only one unit behind my juniors. This was intentional, as I laid out the novels I had and put them in the order I wanted to teach them. I then started each class in that order. This year each level is composed of two trimesters that are 12 weeks each, with 60 minute classes. This means that students completed one and a half "levels" in a year. Next year we are moving back to semesters, meaning we did not want to start half of a level trimester three with the freshman. This means for one year only we are able to over an optional culture class for freshman as an extension and preparation for Spanish 2 in the fall. 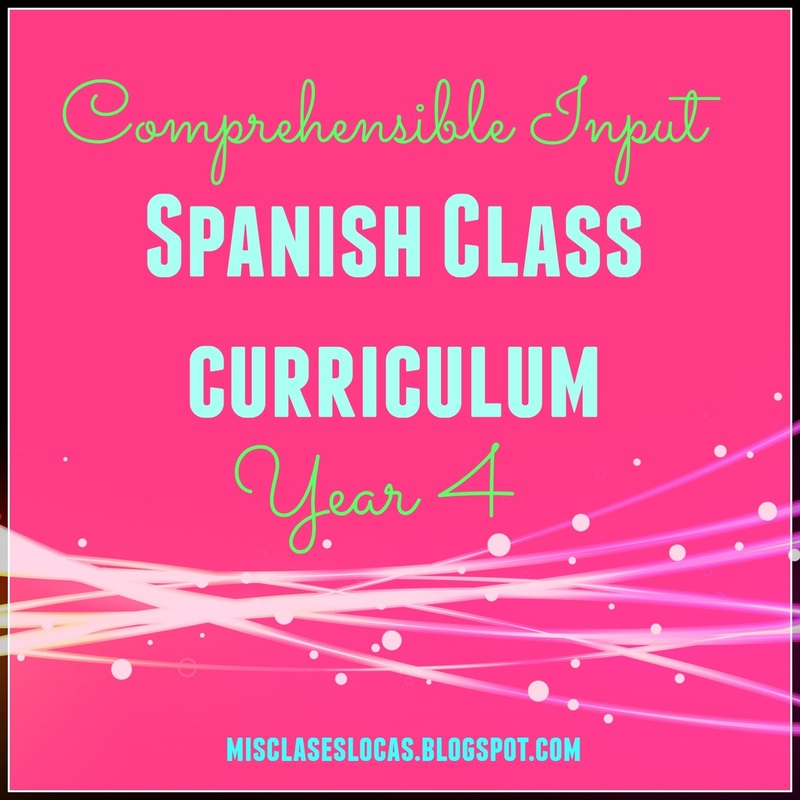 I am highly encouraging those who have more difficulty with Spanish to take this class. I plan to give them a long list of possible culture units, which they will vote on their favorites. Tentatively, they will read the novel Tumba, as well as complete many mini units that are about two weeks long. Ideas I have include the following: lucha libre, bullfighting, medio ambiente, immigration, health, superstitions, biblioburro, native civilizations, la guerra sucia, guachos, yipao parade, fairy tales, geography, la tomatina, geography, culture of piñatas, specific countries of study, music, food, holidays, etc. UPDATE See this post for the full trimester curriculum for the class. For next year, I am planning on going back to having my Esperanza unit before Robo en la Noche in past tense. I think it makes more sense to stick with present tense novels for me, and then moving on to past tense. I made the temporary switch this year because I know that Robo is always a popular and enjoyable first book, which is how I wanted Spanish 3 to start the year. Also, this summer I get to order a TON of new novels with it being my year for curriculum supplies. I am very pumped and my next year curriculum map will look much different with the addition of many new books:) I may go to an every other year with some books, to keep it fresh for myself. What does a typical year in your class look like? Love how you set this up! I am working on the same thing as I'm the only Spanish teacher. Thank you! I am glad I could help a fellow #deptof1!